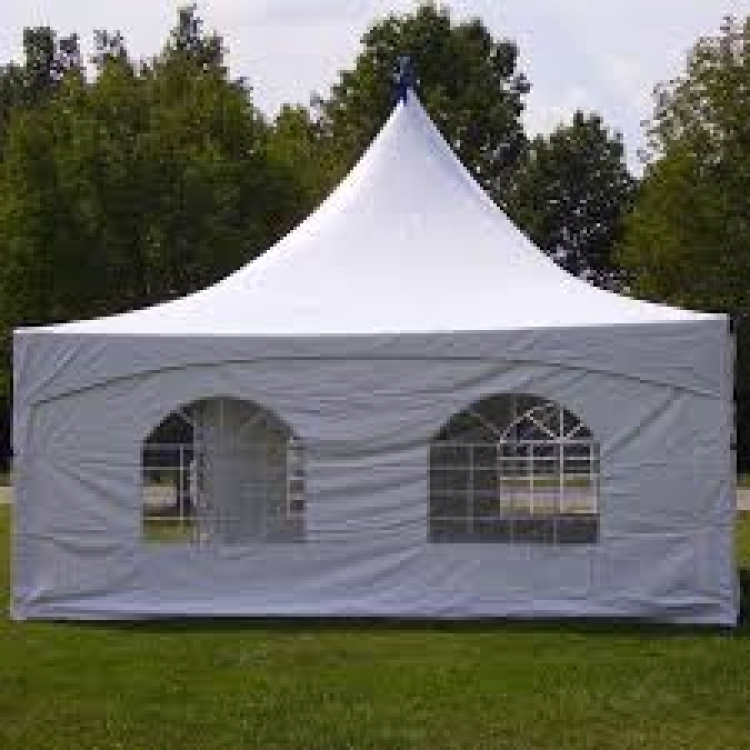 $280 Our 20x20 High Peak Frame Tent is 400 square feet and can comfortably seat 48 guest at 6 eight foot tables or 32 guest at 4 five foot round tables. 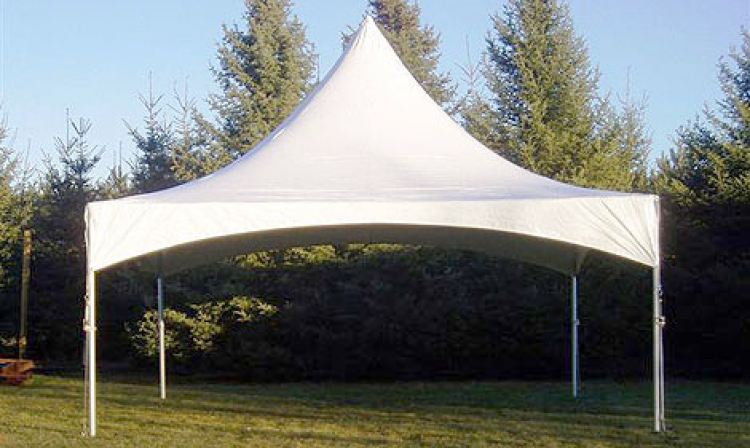 The size and elegant look makes this tent ideal for weddings, graduations and other large outdoor events. In addition to the aesthetic appeal, this tent provide some much needed shade to your next event.